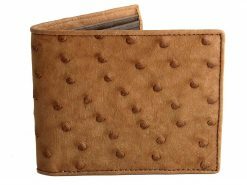 One of our most popular ostrich leather wallets and a unique gents fashion accessories are these ostrich skin wallets. 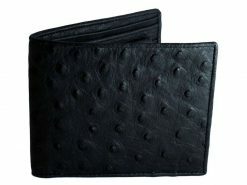 These are made using the leather covering the ostrich leg. 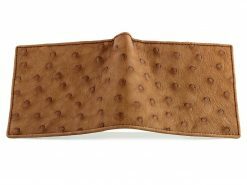 The central scalloped band running through the center of this wallet is formed from the large scales which protect the bird’s leg. 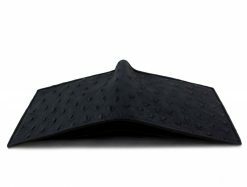 Many exotic wallets don’t focus so much on the inside but we’re adding a matching ostrich skin interior to set this apart from the competition. 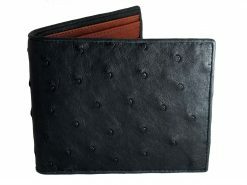 A perfect combination of style and versatility, making this wallet to suitable for every guy and any taste. 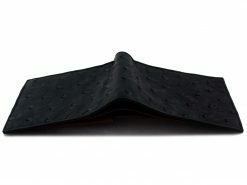 This range of bifold wallets is designed and made exclusively by Real Mens Wallets.